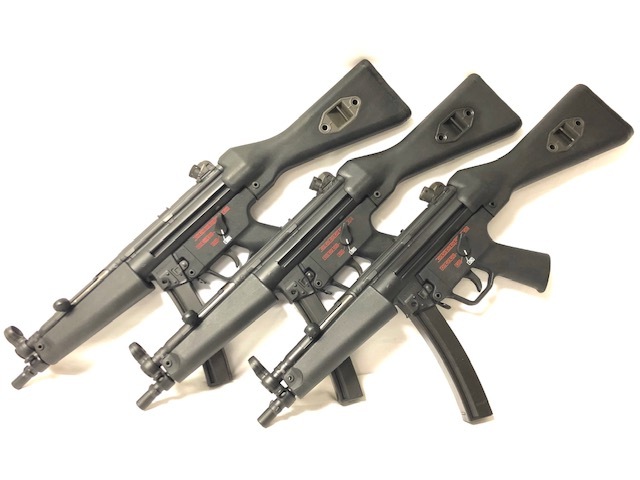 (3)Three Factory German HK-MP5A2 , 9mm Pre-86 Dealer Sample Machine Guns with CONSECUTIVE SERIAL NUMBERS. All Matching Date Code (IE). Includes A2 Shoulder Stock, Wide Tropical Hand Guard,4-Position/3-Round Burst Ambidextrous Trigger Group and (1)30rd German GK curved Magazine. All Three are in same condition as the one pictured. NO LAW-LETTER IS REQUIRED TO POSSESS PRE-86 DEALER SAMPLES AND THEY ARE KEEPERS AFTER YOU DROP YOUR SOT. AVAILABLE ONLY TO LICENSED FFL/SOT HOLDERS AND NOT FOR-SALE TO THE GENERAL PUBLIC. The BITTY on a .22 rifle performs akin to many other manufacturer’s full sized .22 suppressors and It’s also hearing safe on a .22 Mag rifle. Testing was performed with CCI standard velocity .22 ammunition. Only 1” in diameter and 2.8” in length, weighing in at a mere 2.6 ounces. Includes a direct thread 1/2×28 mount but an ATAS™ mount is available for an additional $50.00. Black Cerakote finish. Versatility separates the Vers 30T from the competition. With the ability to mount to nearly every rifle on the market Bowers Group currently offers 27 different Versadapt™ thread adapting inserts. You can use your Bowers Vers series suppressor on various platforms without hunting down a third-party thread pitch adapter or spending money on proprietary mounts. By directly threading onto your rifle you won’t spend hundreds of dollars on muzzle devices that have to be added to your firearm. 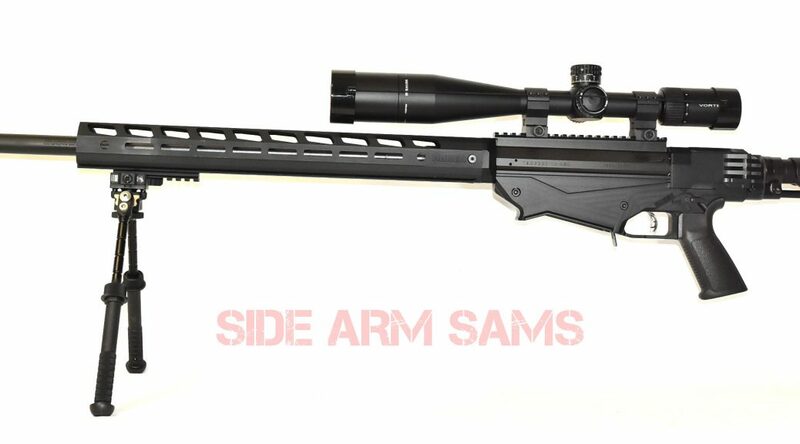 The Vers 30T is rated from 17 HMR to .300 RUM/.300 Weatherby and nearly everything in-between. 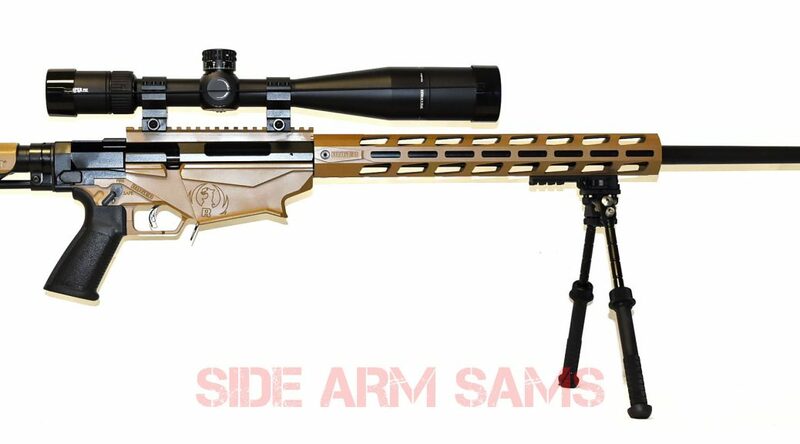 Suitable for shooting on popular calibers such as .17WSM, .22 Hornet, .22-250, .223, .224 Valkyrie, 5.56, .22 Nosler, .243 Winchester, .257 Roberts, .26 Nosler, .270 Winchester, .28 Nosler, .30 Nosler, .300 BLK, .300 Norma, .300 Winchester Magnum, .308, .30-06, 6mm Remington, 6.5 Grendel, 6.5 Creedmoor, 6.8 Remington SPC, 7×30 Waters, 7mm Remington Magnum, 7.62×39, 7.62 NATO, and many more! The Vers 30T includes one standard Versadapt™ insert of your choice. 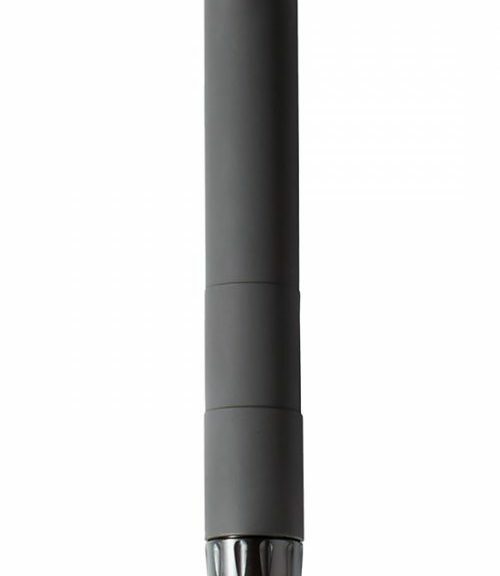 The Vers 30T has a titanium tube and stainless baffles, is nominally 1.5″ in diameter, 9.25″ in length and weighs 15.6 oz. Matte Barrett Brown Cerakote finish. NOTE: There is a minimum barrel length of 10.5″ when shooting .223 or 5.56 but no barrel restrictions with other calibers. 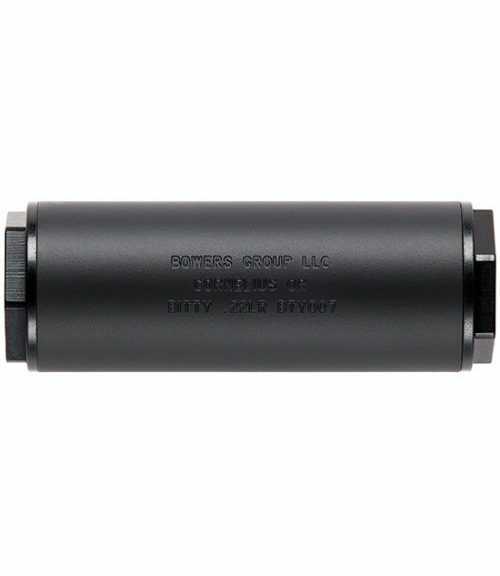 Both the stainless and titanium suppressors are rated for limited full auto use, not to exceed 500 degrees. Includes a custom Griptastic™/Supcov™ high-temp silicone suppressor cover. The Vers 30T includes one standard Versadapt™ insert of your choice. The Vers 30T has a titanium tube and stainless baffles, is nominally 1.5″ in diameter, 9.25″ in length and weighs 15.6 oz. Matte Black Cerakote finish. NEW IN BOX RUGER PRECISION RIFLE IN 6.5 CREEDMOOR. 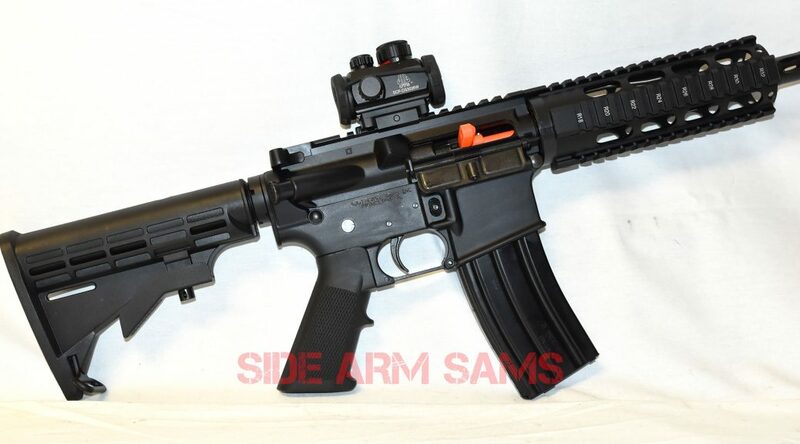 24″ Medium Contour Hammer Forged Chrome Moly Barrel with Muzzle Break, 20 MOA Picatinny Rail & 15″ Free Float MLOK Hand Guard, Oversized Bolt/Charging Handle with a 3-Lug Bolt with dual Cocking Cams with a Nitrided Full Body Bolt for Corrosion Proof Smooth Operation,Extended AR Style Pistol Grip, Ambidextrous Safety Selector, Ruger Marksman Adjustable Trigger from 2.25#-5#, Ruger Precision Adjustable (Pull & Height) MSR Stock with QD Sling Attachment Points & Bottom Picatinny Rail, (2)10rd MagPul Magazines, Lock & Manuals. Factory Finished in Barrett Brown. ALSO INCLUDES: A NEW BOWERS 30T TITANIUM .30 CAL SILENCER & BOWERS GRIPTASTIC HIGH-HEAT SILENCER COVER, FINISHED IN BARRET BROWN TO MATCH RIFLE. REGISTERED ON A FORM 3. ALSO INCLUDES: NEW IN BOX VORTEX VIPER PST EBR-2C (MRAD) in 5-25 X 50 FFP, GEN II with Extra High Vortex Rings, A NEW IN THE WRAP Atlas Precision Bipod (PSR) Model V8,(BT46-LW17) & A NEW IN WRAP Atlas Precision Rail Mount Monopod, Model BT13-QK. ALSO INCLUDES: A NEW IN THE BOX 52″ HARD SHELL AIR TIGHT ASSAULT RIFLE TRANSPORT CASE BY BOYT. ALSO INCLUDES: A BOX of Winchester 140gr Match BTHP Ammo to Zero in the pkg. NEW IN BOX RUGER PRECISION RIFLE IN .338 Lapua Magnum. 26″ Heavy Contour (.875″ @ the Muzzle)1:9.375RH Twist Hammer Forged Chrome Moly Barrel with Magnum Muzzle Break with a Tunable Compensator to Effectively Reduce Recoil and Muzzle Jump,(3/4X24 @ Muzzle), 30 MOA Picatinny Rail & 18″ Free Float MagPul MLOK Hand Guard, Oversized Bolt/Charging Handle with a 3-Lug Bolt with dual Cocking Cams with a Nitrided Full Body Bolt for Corrosion Proof Smooth Operation,Extended AR Style Pistol Grip, Ambidextrous Safety Selector, Ruger Marksman Adjustable Trigger from 2.25#-5#, Ruger Precision Adjustable (Pull & Height) MSR Stock with QD Sling Attachment Points & Bottom Picatinny Rail, (2)5rd MagPul Magazines, Lock & Manuals. ALSO INCLUDES: NEW IN BOX VORTEX VIPER PST EBR-2C (MRAD) in 5-25 X 50 FFP, GEN II with Extra High Vortex Rings, A NEW IN THE WRAP Atlas Precision Bipod (PSR) Model V8,(BT46-LW17) & A NEW IN WRAP Atlas Precision Rail Mount Monopod, Model BT13-K.
ALSO INCLUDES: A NEW IN THE BOX 52″ AIR TIGHT HARD SHELL ASSAULT RIFLE TRANSPORT CASE BY BOYT. We also WILL include a Box of Federal 250gr Match Ammo to help get your PRS Zeroed in. 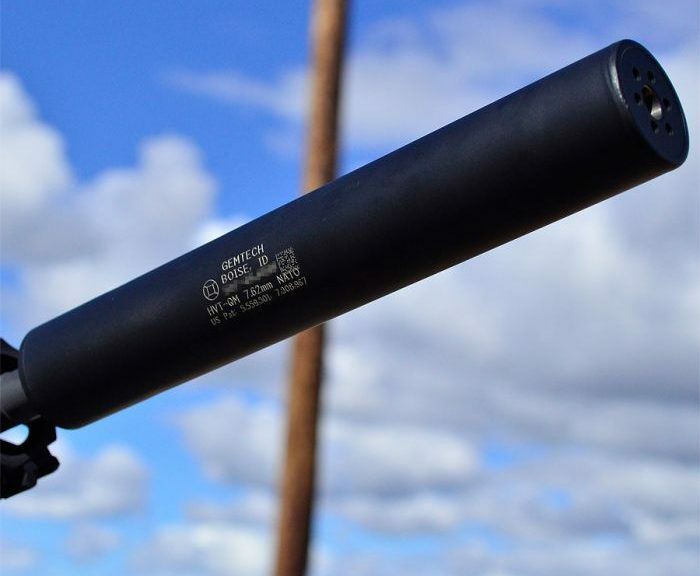 Gemtech HVT-QM .30cal/7.62mm/.308W Quick Detatch Silencer. The Gemtech Quickmount attachment system permits consistent mounting with repeatable accuracy. The male mount is torqued into position over a threaded barrel to assure utmost accuracy, and the suppressor affixes over with a simple, one-handed movement with no gates, latches, or threads to stick or fumble. It’s either on, or it’s off. There are no “Is it on where it should be?” questions with the Quickmount. 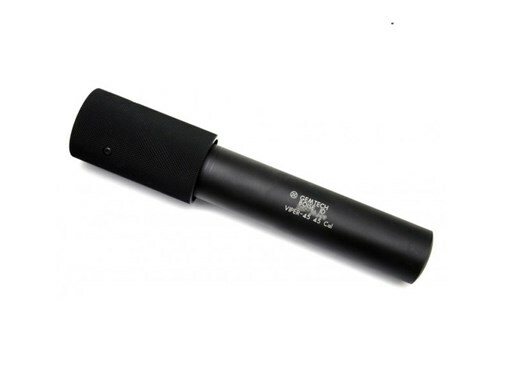 The highly sought after Gemtech VIPER45 Silencer for the MAC10/45 Sub Machine Gun. 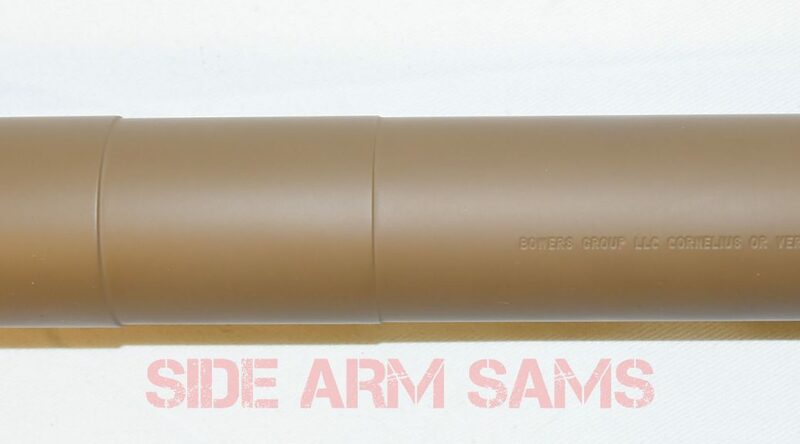 THIS SILENCER IS RARE AND HAS BEEN DISCONTINUED BY GEMTECH. ALSO INCLUDES: UTG 30mm CQB 2.5″ Red/Green Dot Intensified Tactical Rear Dot Sight, a 30rd C Products Defense Mil-Spec Magazine and a Black US Peacekeeper 4-Pocket Zippered Assault Case. 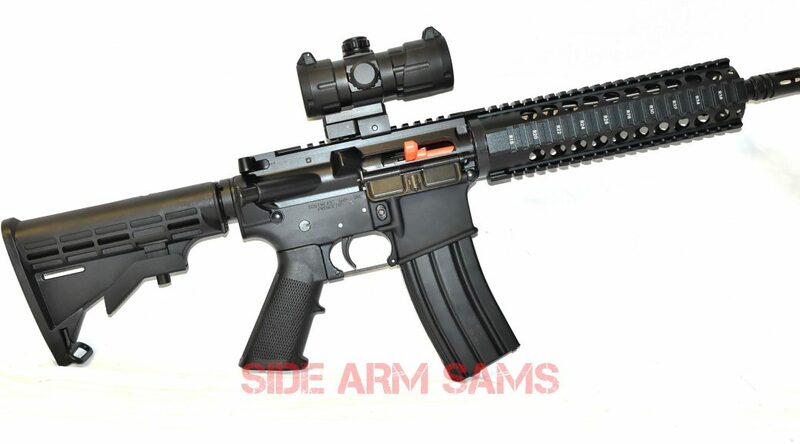 NEW & UNFIRED Anderson AM-15 Mil-Spec Registered Short Barrel Rifle (SBR). Includes a 10.5″ 5.56mm, Flat-Top Upper Receiver with Lo-Pro Gas Block and Quad Rail and a M16 Bolt Carrier by Andro Industries, 6-Position Mil-Spec M4 CAR Stock,. ALSO INCLUDES: UTG 38mm Red/Green Dot Rear Sight, a 30rd C Products Defense Mil-Spec Magazine and a 4-Pocket Zippered Assault Case.